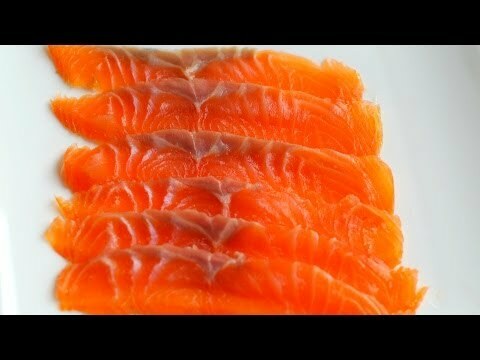 This is a recipe for cold smoking salmon using the ProQ Cold Smoke Genrator from PitmasterX, who creates some exciting and innovative recipes for his youtube channel. Mix the salt and sugar and sprinkle it on the salmon filet and let the salmon cure in the fridge for 1 and 1/2 hours. Rinse off the cure with cold water and apply a thin layer of maple syrup with a basting brush to stop the curing process. Cold smoke the salmon for 24 hours with a cold smoke generator. The temperature should not exceed 25 degrees Celsius or 77 degrees Fahrenheit. NB If you cannot get extremely fresh Sushi grade salmon, you will need to cure for longer to reduce the risk of bacterial growth.